*This is a paid placement and not editorial content. Overlooking the beautiful Genesee Valley, this spectacular property is notable for its handsome 1827 brick home, an award-winning vineyard, a trout pond, and lovely gardens, all on 5.5 landscaped acres. The property, located on Rt. 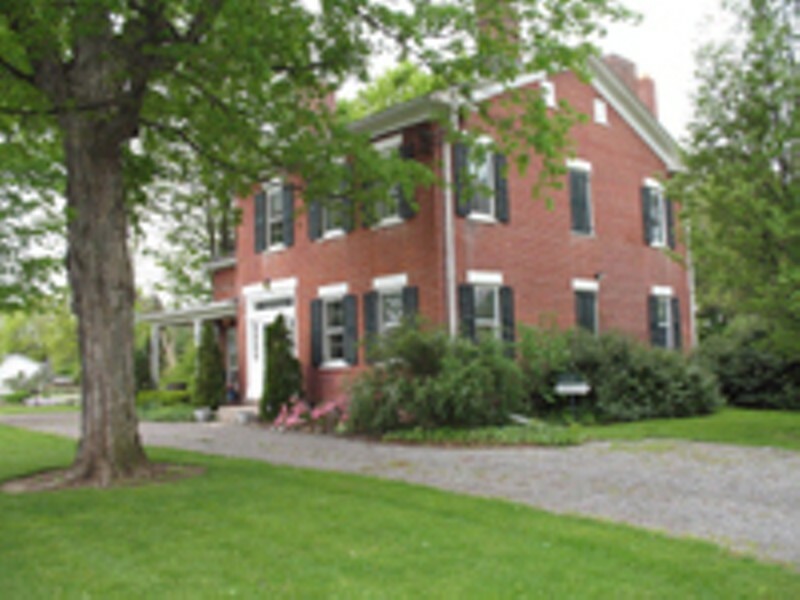 36, just south of the hamlet of York at 3054 Main Street, has been successfully operated as the Silver Tendril Bed & Breakfast. The owner of 40 years has maintained in mint condition the house, grounds and outbuildings, which are ready for their next steward who appreciates fine architecture, country living, and, perhaps, the opportunity to make an estate wine and/or operate a bed and breakfast. The 3,879 sq. ft. house is a superb example of the Federal style of architecture. The main, three-bay block features original six-over-six double-hung windows and a front entrance with a transom and sidelights, set in a classical surround with delicately fluted pilasters. Attached is a smaller brick wing that served as the original kitchen and may have pre-dated the main portion. Entering through the front doorway into the hall, one cannot help admire the main staircase with its finely turned newel post and polished wood railing. 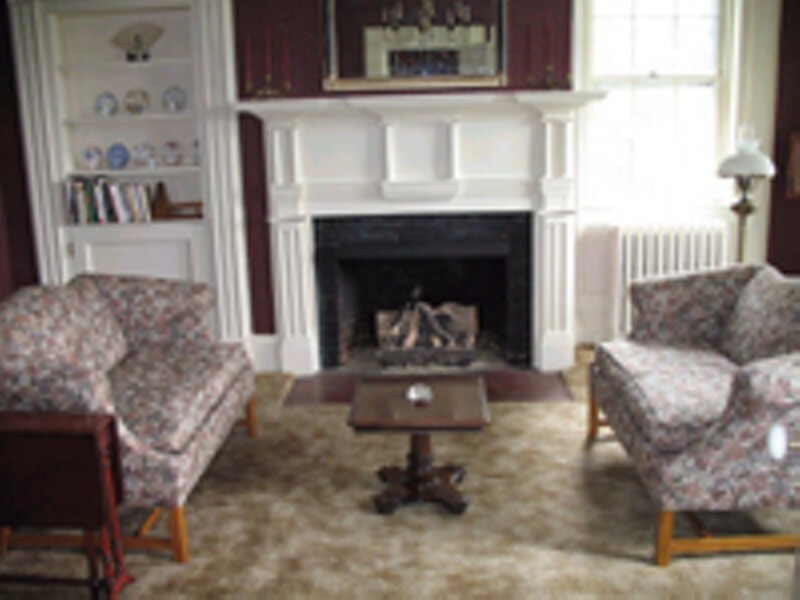 To the right is the cozy, parlor/living room with an elegant Federal mantel that surrounds one of three fireplaces in the house that have been converted to gas. Next off the hall is the attractive dining room with windows looking out to the beautiful backyard and gardens. A roomy, modern kitchen, with a ceramic tile floor, extends along the back of the main house portion and opens into the original kitchen wing. 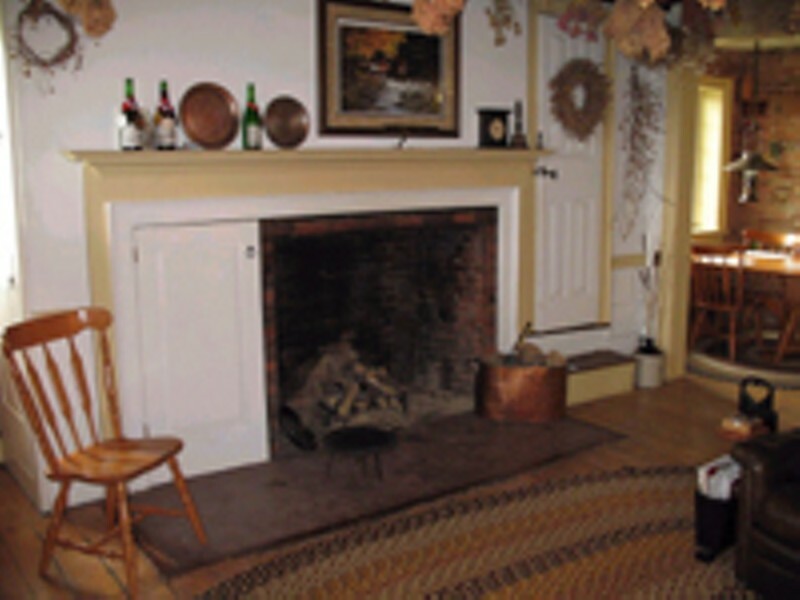 The owner retained the old wood floors for the informal breakfast nook, which leads to the large “keeping room” featuring the original kitchen fireplace and bake oven. This area with its exposed ceiling beams has been turned into a comfortable, informal living space. Behind the kitchen is a large frame addition that begins with a wood-paneled room, which has served as a children’s play area. Here sliding glass doors open onto the spacious brick patio overlooking the landscaped grounds. Beyond this room is an area with a garage door that has been used by the owner for wine making. The second floor contains two attractively-decorated bedrooms in the main portion, identified as the Shaker Room and the Monet Room for bed & breakfast guests, and two full baths. A master bedroom has been created above the kitchen wing with exposed beams, a gas-fired stove and a half-bath. Above the frame addition is a self-contained “in-law” apartment; a second apartment is located in a separate out-building. The spacious grounds contain the 1/4-acre vineyard, mature deciduous and conifer trees, well-tended flower gardens, and a pond. A front circular driveway has a small parking area for guests and then leads to a detached one-car garage. The property is within easy reach of the National Historic Landmark village of Geneseo and other area attractions, including Letchworth State Park. The school district is York Central Schools. This property is being offered at $329,000; taxes are $6,544. Contact Holly Harvey, at Nothnagle Realtors, at 346-2332, ex. 118. Ann Parks is chair of the Town of Perinton Preservation Board and the former deputy director of the Landmark Society.